In your life, you make many decisions– but not all decisions are created equal. In fact, some carry a lot more weight than others. The trouble is we actually tend to better at the less impactful decisions because we have much more practice with them. Take for instance the decision of which restaurant to pick on a Friday. You’ve probably made that decision hundreds of times. You know exactly which inputs are important- price, location, food type, etc. Over time you familiarize yourself with them and can quickly and accurately navigate the variables to a more certain outcome. On the end of the spectrum, the more important decisions like who to marry or what job track to pursue, you may make no more than once in your life. The infrequency of these decisions in my experience tends to make us less proficient at evaluated them even though they impact our lives more. I have personally struggled with some of these big decisions, particularly when it came to my career. I remember during my second year in college when I started to think about this decision seriously and had no idea where to begin. Leading up to this point, most of the important decision in my life had been somewhat prescribed for me. I knew that it was track to go from primary to secondary school and then to college. Even the decision of which major to pursue can be decided by your parents. And then all of a sudden you are finishing up college and are supposed to make a career decision which feels so big that it is going to affect the rest of your life, but you don’t know where to begin. However, I’m not surprised most people feel this way because our education system does not train us well to make the big decisions. But what to do when you feel lost? Like many, I remember looking to others for guidance and I found it in a talk at Stanford by Bill Gates where he suggested that we should “follow your passion”. The problem was that I did not really have any passion. Literally none. I was trained by an education system that emphasizes on being well rounded which meant I was good at a lot of things, but great at nothing, and not particularly passionate about anything. So after graduating I picked a career that seemed to have some of the best prospects– management consulting. In life, sometimes, you find answers in unexpected places. My answer to the big question came from gambling— Texas Hold’em poker to be precise. For the first time in my life, I was obsessed with something. I remember hating going to bed because it meant not being able to play. Sometimes I skipped meals, and quite often skipped showers so that I could spend as much time as possible on perfecting my craft at the poker table. I was playing upwards of 16 hours a day for almost 7 years. This dedication and passion ultimately paid off. I was successful by many people’s standards with winnings of a few million dollars. It was at that time that I figured I started thinking about big life decisions, particularly career decisions in a very different way. 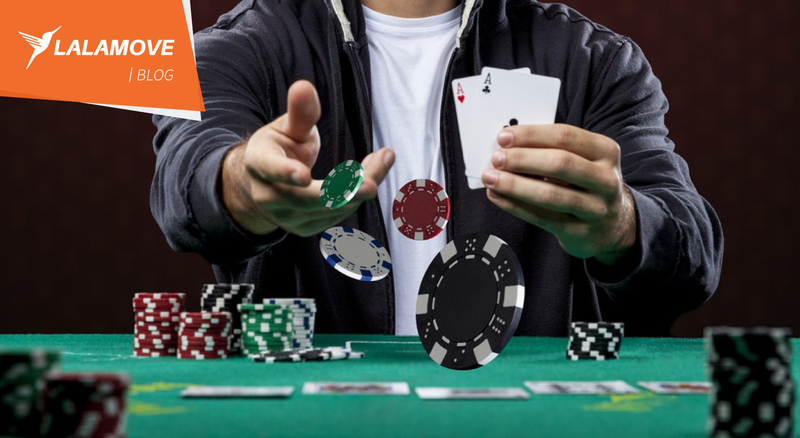 After my years of not being fully prepared by traditional schooling and countless hours grinding it out at the poker player, I have found in choosing when it comes to your career, it is the best to combine your Ability, Passion, and Prospects (A.P.P). Failing to clearly identify how you stack up to a potential career by basing your decision on only one of these factors could have disastrous results. In my specific case, I happened to be quite gifted in mathematics. During my freshman year, my math professor was sufficiently impressed with my math skills that he wanted to groom me to become a math professor. I quickly realized I lacked the drive to have my life consumed by numbers so I said no. Looking back, I believe I made the right call. Sure I had the capabilities to succeed in mathematics, but so did countless other kids. Doing it for a living when I was not passionate about it would have given me very dim prospects considering the other talented and passionate individuals. I also was a decent management consultant (or at least so I think! ), but consulting was definitely not something that made me tap dance to work every day. So when I look back, it was poker that finally aligned the three forces for me. I was extremely passionate about mastering the craft. I possessed some innate ability in it due to my penchant for numbers. Lastly poker was growing exponentially at the same time which gave me a great opportunity to exploit if I could become good enough. And so Bill Gates was partially right. Passion is needed, but your chance of success and personal fulfillment are so much better when you combine it with your abilities and what the market has to offer. The A.P.P. approach is different from Bill Gates’ approach because it doesn’t only give you the energy to do what must be done but also it sets you on a path where you have what you need to succeed. Passion and ability without prospect won’t bring you far – you might have a great idea but you will never be able to make a living of it. Prospect and passion without ability are also a dead end – you will never be able to develop and execute your idea properly. Ability and prospect without passion leads no-where – building a company requires grit and motivation. Without passion you will soon lose perspective of your goals and lack the energy required to overcome the frequent obstacles that life throws your way. It is essential to align the three elements of the A.P.P theory to start a successful career. So if you ever find yourself at a crossroads in your professional life, take some time to establish where your passion and ability lie and see how you can align them with an opportunity that shows real prospects. The A.P.P concept is especially relevant to startups. Startups are much harder than any other type of business. Entrepreneurship requires true grit and passion – in this environment only the strongest can survive and without the proper market and ability, you likely will not survive. In a startup you must reinvent yourself every day by finding solutions to new problems and change direction often and suddenly as the market requires it. Abilities enable you to make wise choices. Passion gets you through difficult times and keep you afloat. Prospects will give your career the opportunities you need to flourish. The A.P.P. brought me to start my own company, lalamove. It gave me greater accomplishment and satisfaction than I had thought possible during my schooling or management consulting days. So next time you feel a bit lost, take some time to reflect on your own Ability, Prospects and Passion and hopefully the path to defining your own success will become a little bit clearer.